In general, shoppers in Israel are urged to be extremely vigilant, even when shopping in the chareidi supermarkets before Yomtov as too often, there are non-Pesach items mixed in with the Pesach items. This has been found to be the case this year in the supermarkets frequented by chareidim. 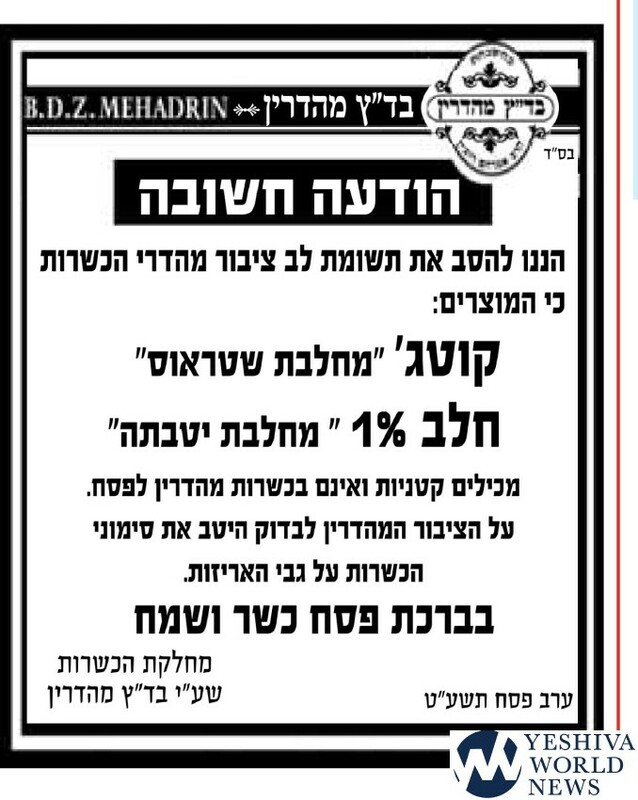 In addition, as is the case with the cottage cheese above, some products on Pesach shift from being mehadrin year-round to non-mehadrin regular kosher on Pesach. Read the notice! It’s ALL cottage cheese from Stauss and 1% MILK from Yatvata Dairy. This is mistranslated guys… please refer to @netzhachmah for the correct version.